This article was originally published at the APPLINK.IO blog. America's Heartland, the Midwest, Field of Dreams and Silicon Prairie are just some of the ways to refer to our little slice of heaven here in Iowa. As technology transforms non-tech industries like health care, agriculture, transportation, finance and manufacturing embrace innovation and technology, startups in the Midwest are poised to take advantage of being to those potential customers. There are also other advantages to living in the Midwest such as a growing economy, stable cost of living and improved access to capital. Here is a list of ten tech startups that get to call Iowa home. AgriSync (Waukee) is a mobile-based pro-active support tool that connects farmers with their trusted advisors remotely. 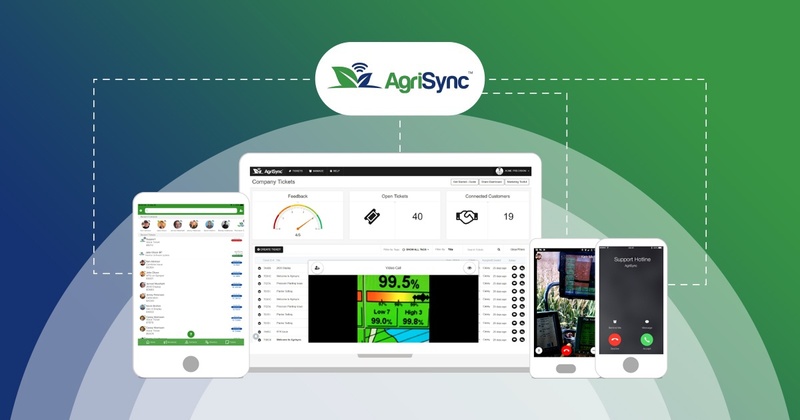 AgriSync enables farmers and advisors to connect and resolve support issues using a mobile video customer service platform. Farmers can connect with multiple advisors from different companies to submit and receive support in real-time via video. Advisors can manage multiple farmer service tickets through a dashboard and remote video that allows them to see what the farmer sees in real time. At AgriSync.com a customer service dashboard allows the advisors organization to see open cases, resolution status and farmer feedback in real-time.